Happy Friday means sweet fun touring all the friends with flair samples! This one is mine. 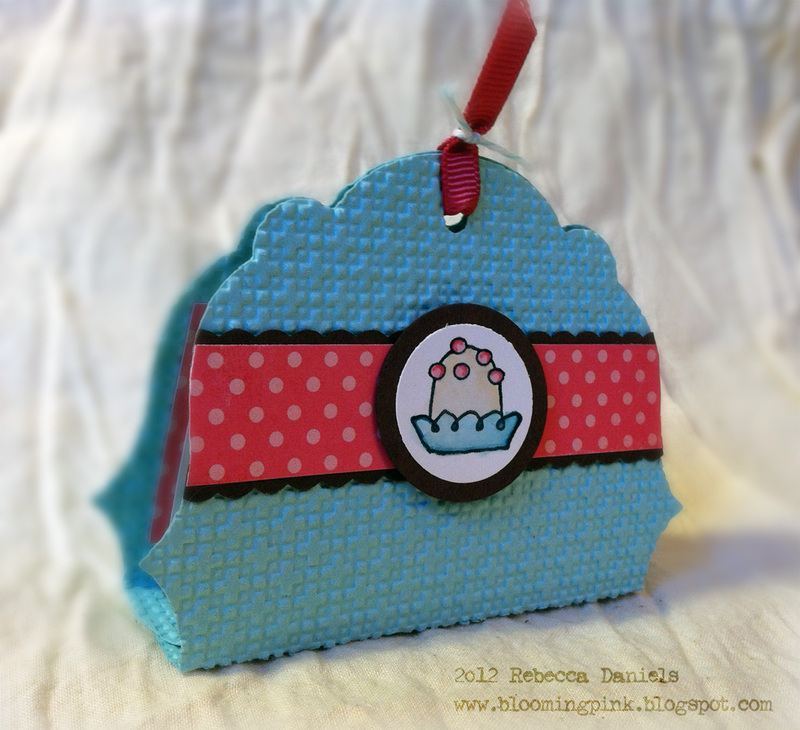 It's a quick little treat holder. 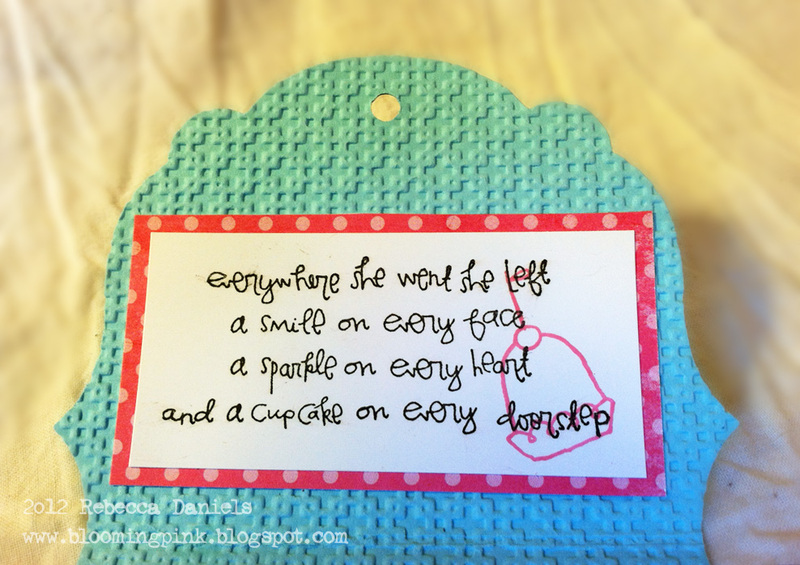 I used "Cupcake on the Doorstep" itty bitty. Love this new artist. Her stamps are adorable. I thought it would be great for holding all sorts of small items from crayons to chocolate. I'm filling these with crayons for some sick kids. I'm also making a little coloring book to go with them. I'll also show you that in a bit. So check back! Have a great weekend. My dogs have been diggin' the weather. We've walked in the woods every morning this week. So, for me, being with my doggies outside makes for an incredible week. Hopefully, it'll be as great over the weekend...and will include my husband so that should make it even better! Hi Rebecca! What a sweet treat holder!! Love the stamps you used, and great colour combo. Great job!! What an adorable treat holder! 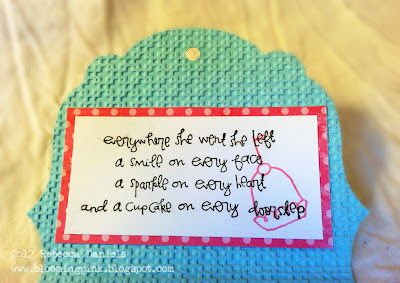 I just love that sentiment stamp too, going on my wishlist now! What a great idea, and a coloring book to go with it? Fantastic! What a thoughtful little giftie! Love it! Oh dear, this is darling. I love it. This is so cute and I love how you embossed the treat holder! Thanks for sharing! Cute project! Enjoy that hubby time!! Sunny here but 7* this a.m....buurrrrr! So adorable. What a cute project! What a wonderful thing you are doing for those sick kids! I'm sure it will be greatly appeciated! TFS! What a cute project! Great idea!